If you’re familiar with professional League of Legends, you’ll by now be familiar with LMQ: young bucks with the stones to enter the Season 3 Summer Split and make a name for themselves. But as the Chinese team’s stature has grown, the ground beneath their feet has started to cave away. In the last couple of days, LMQ have announced a new owner, and the sudden departure of the manager who in the last six months had helped the team adjust to life in LA. Riot Games haven’t yet officially acknowledged the new owners, which they’ll need to if LMQ are to continue appearing in the LCS. But the developers have committed themselves to ensuring the team get the future they deserve. Riot confirmed today that the League has “had discussions” about LMQ’s new owners, the recently-formed third-party Luyu eSports LLC. 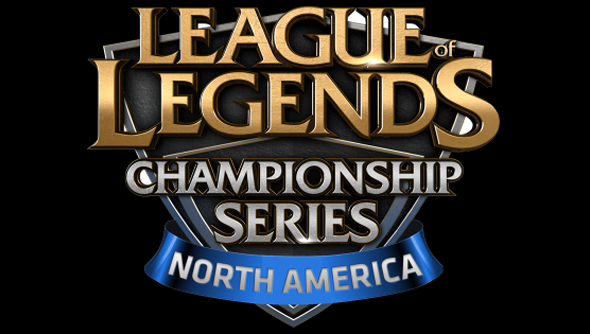 It transpires that the question of the team’s ownership has kept the developers occupied since LMQ first qualfied for the North American LCS last split. A company named LoLClass filed ownership paperwork for LMQ in May, but Riot soon discovered a conflict of interest – the same company sponsored several other teams competing in the LCS. Rather than drop their existing sponsorships, LoLClass decided to relinquish ownership of LMQ. But while they were busy extricating themselves from the team, a second Chinese company, TC, emerged to claim ownership of LMQ. TC provided evidence that LoLClass had simply been appointed to represent the team in the US – and had now been relieved of that duty. All LMQ player contracts had been transferred to the newly-formed Luyu, it turned out – though the players themselves weren’t privy to that discussion, nor the original arrangement between LoLClass and TC. Riot’s hope is that they can find a way to admit Luyu as LMQ’s new owners for the purposes of the LCS. “This may depend on the willingness of all involved parties to come to an amicable resolution,” they write. Riot plan to talk to all of LMQ’s players, and to review their team owner approval process ahead of the 2015 Season. Because clearly, they’d like to avoid this sort of shenanigans in future. Have any of you lot become LMQ fans in recent months?